Dr. Greer received his BA in English Literature from Williams College, received his MD from the University of Florida, his Master of Arts in English Literature also from the University of Florida, and a Master of Arts privatim, from Yale University. He completed his internship and residency in neurology at Massachusetts General Hospital (MGH), followed by fellowship training in vascular neurology and neurocritical care, also at MGH. 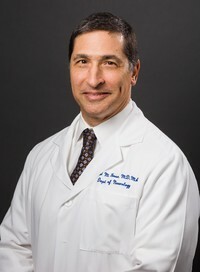 Previously, he was an Associate Professor of Neurology at Harvard Medical School before being recruited to Yale University School of Medicine in 2010, where he most recently served as Professor of Neurology and Clinical Vice Chairman before joining Boston University School of Medicine as Professor and Chairman of Neurology. He is also the Richard B. Slifka Chief of Neurology at Boston Medical Center. He is a leader in the Neurocritical Care Society, the Society of Critical Care Medicine, the American Academy of Neurology and the American Stroke Association.